Datsun is Japanese automaker Nissan’s budget brand for emerging markets such as India, Russia and South Africa to name a few. The brand’s first launch in India happened earlier this year, with the Go hatchback. 2015 promises to be a bigger year for Datsun as far its launch blitz is concerned, what with two new cars lined up. 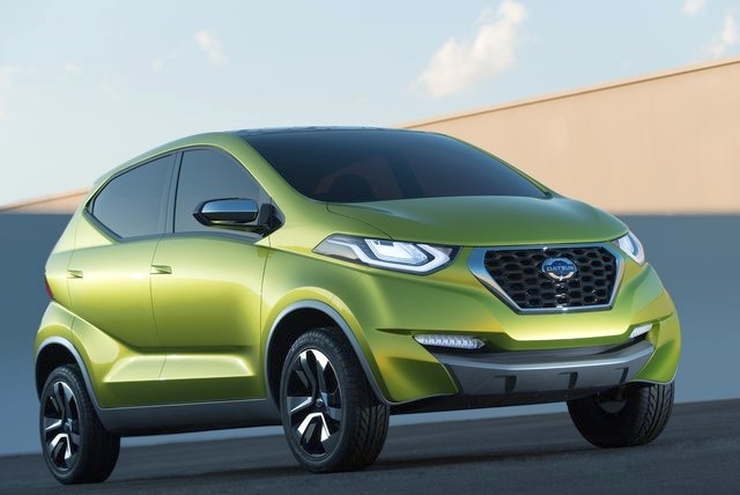 The first car, the Datsun Go+ compact MPV will be launched early next year, the budget brand will debut the RediGo hatchback by the middle of 2015. While much of the media attention around the RediGo has centered around the budget car taking a crossover route into India, CarToq has specific information about the positioning of the car. Firstly, the Datsun RediGo will be a hatchback, out and out. It will not be marketed as a compact crossover, but instead as a sporty looking budget hatchback aimed mainly at younger car buyers. The RediGo will sit at a price point lower than that of the Datsun Go, and will use the CMF-A platform. Expect a 2.5 lakh rupee starting price for the RediGo hatchback. With the RediGo, the common module family (CMF) architecture will make its debut on Nissan vehicles sold in India. The car will use an 800cc-triple cylinder petrol engine developed by the Renault-Nissan Technical Center at Chennai, India. The RediGo will come with nearly 100 % localization, in the interests of keeping costs low. The Datsun range of cars will be sold and serviced through Nissan showrooms and after sales service centers across the country. The plans of establishing standalone Datsun only showrooms and service centers in India has been put on the backburner. Since the Datsun range of cars are aimed at buyers on a tight budget, the need to take the brand to Tier II and Tier III cities and towns of India is very high. With the Datsun brand having to reach out to the smaller towns and cities of the country, Nissan has aggressively charted a new dealer strategy. The new strategy will see Nissan establishing 280 dealerships in India by the end of 2015.